La Mom : Hi, I’m calling from France because I just realized I sent a package to an incorrect address in Florida. It’s order #123456789. Amazon US : No problem ! I can help you with that ! Yep, I see here the order came back full circle and is at our warehouse. I can send out a new one today, if you have the new address. La Mom : Great. The address is blah blah blah blah. Amazon US : Can I help you with anything else ? La Mom : No, thank you so much. La Mom : Bonjour, a package I ordered has not shown up at it's delivery address. It was sent to my in-law’s home in Aix-en-Provence. Order numéro 123456789. Amazon France : Are you sure you gave us the right address ? It’s 211 Rue Le Bon ? Amazon FR : You’re sure that’s the right address ? La Mom : Yes. Your site says the package was delivered December 3rd, today is the 10th, and there’s still no package at my in-law’s house. Amazon FR : Baaa, baaa, have your in-laws checked with the neighbors to see if the package was delivered to them by accident ? 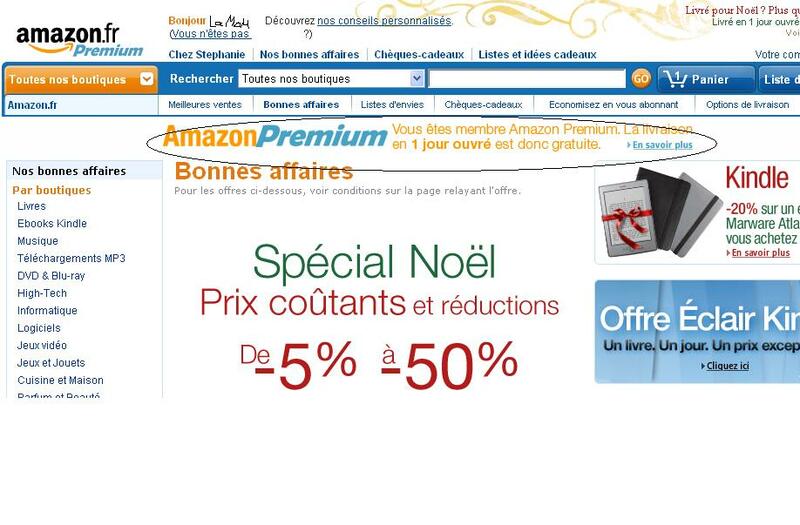 Amazon FR : They need to check with their neighbors. La Mom : Pardonnez-moi? Amazon can’t locate a package full of Christmas presents for my kids, so it’s up to my in-laws to go ask their neighbors if they’ve received it ? La Mom : Are you kidding ? My in-laws are old and one walks with a cane. There’s no way I’m going to tell two 80 year olds they have to check with their neighbors for a box full of presents. They don’t even know all of their neighbors. Franchement. Amazon FR : The package was delivered. It’s up to them to find it. La Mom : Do you have someone’s signature indicating the package was received ? Because if you don’t, then it wasn’t. It’s your job to find it. Amazon FR : Non, pas de signature, but the shipping records indicate the package was delivered. La Mom : It wasn’t, so you need to ship a new one asap. Please. Amazon FR : Désolée, c’est impossible. La Mom : I’m a premium customer, doesn’t that count for anything ? Laissez-moi parler avec votre manager, s'il vous plaît. Amazon FR : Un moment. And the line was disconnected. As one of my favorite ex-pat bloggers, David Lebovitz says, WTF.